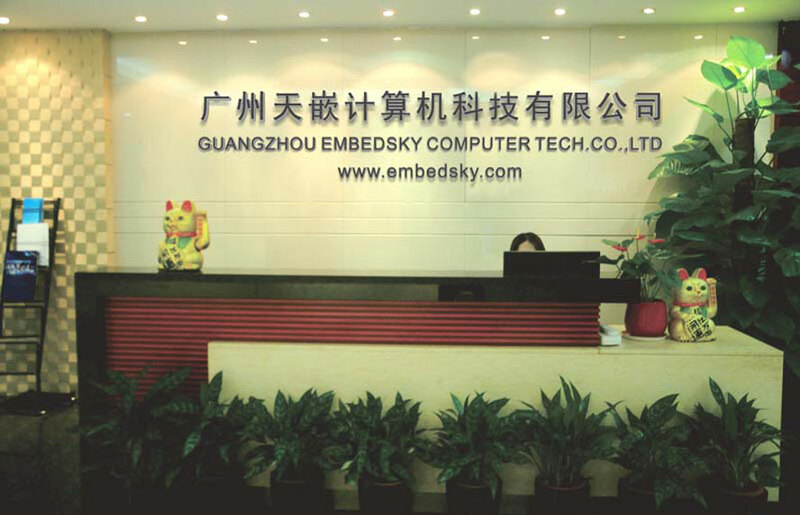 Guangzhou Embedsky Computer Technology Co., LTD is a professional manufacturer of providing high-quality embedded products (including embedded software or hardware development tools) and perfect solution,OEM or ODM.It is committed to the development and application of ARM kernel series CPU,customiz-ed to provid the low power consumption, strong targeted and cost-effective embedded products.The company’s production and technique strength strong,undertake a largenumber of embedded products’ design and projects’ development yearly.No matter a new design or improvement of existing products,it will provide you with satisfactory products and solutions and the whole services. The Samsung ARM series、NXP series and TI (USA Texas Instruments) series development boards which are launched by Embedsky are exported abroad all the world and get good reputation byall the customers.At present,specifically,the baords are Samsung series:ARM9(TQ2416)、ARM11(TQ6410)、Cortex A8(TQ210,E8)、Cortex A9(TQ4418)、CortexA53(TQ6818);TI series:TQ335X(TQ335XC,TQ335XB),NXP series(I.MX6Q,I.MX6UL,E9). The products are widely used in car navigation, instrumentation, medical electronics,teaching laboratory equipment, networking, smart home, video (acquisition) monitoring, network terminals, industrial control,etc.The compay is long-term undertaking the related products and development projects.It has been successful builded a good and long-term relationship with the well-known academic institution,big or medium-sized enterprises and foreign-related enterprises.Moreover, with the high-quality and good reputation,its’ products has embarked on the road of globalization.In the mutual benefit times,Embedsky looks forward to cooperating with you sincerely, and create a brilliant future together!